Welcome to Part 2 of our Contract Optimization blog. In case you did not have an opportunity to read Part 1, you can view it here. 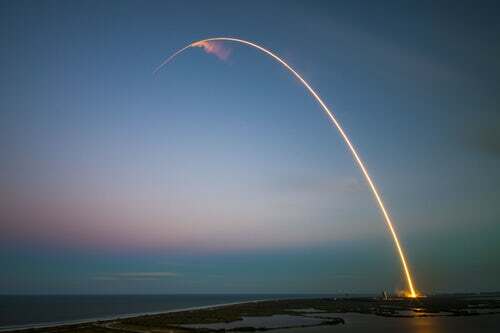 In keeping with our theme from Part 1, the Falcon X Heavy rocket, in this blog we will addresses how to achieve each stage of Optimization. “Trajectory” – the way in which a process or event develops over a period of time. Trajectory of strategic opportunity – the trajectory your organization could pursue if it faced no constraints. Trajectory of strategic reality – the trajectory your organization is currently taking. 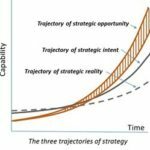 Trajectory of strategic intent – the trajectory your organization has chosen to take based upon an understanding of the trajectory of strategic reality and trajectory of strategic possibility. In the case of strategic intent, it is where your organization has determined the goal or level of Contract Optimization and how long it expects to get there. That is determined by assessing budget, time, and resources for the trajectory. Now lets take a closer look at the optimal method to successfully achieve each stage of Contract Optimization. Stage 1 – All contracts in an electronic repository. As I work with customers, I always find it amazing how large enterprises allow contracts to be stored in filing cabinets and multiple storage devices including personal hard drives. Even more surprising is that when they eventually find the document, they have to read it to determine certain information such as pricing, dates, service level agreements and contractual obligations. Imagine the lost time and cost performing those tasks! So it makes sense that the first level of Contract Optimization is establishing a single repository. Easier said than done. So how do you do this? Locate all the documents. I place this before actually creating the repository for two reasons. One, is that it takes time to establish an inventory of all the contracts. The scope of the documents should be defined with labels such as Active vs. Inactive, Original vs. Amendment, etc. Secondly, the documents must be scanned either manually or through tools that are available, to extract the key information (metadata) such as vendor or customer name, start and end dates, key clauses, and obligations. Create and Load the Target Repository. There are many repositories that can support contract storage like Salesforce Content, and choosing yours depends on your levels of security, licensing, file sizes, and administration of the repository. Once you have the repository selected, you must create a load file (CSV) that creates a record (captured in what we will refer to here as the Agreement record) that includes the metadata for each contract, and a reference to the physical document. Here is another area where there are many (data loader) tools available to help you perform the load function. Stage 2 – Analysis and reports of contracts. Build Analytics. Now that you have successfully created a repository with metadata and documents, achieving stage two is a simpler exercise but the benefits are huge. You can build and run reports, create workflows for notifications of critical dates, and effectively search the repository for contracts and or specific clauses based on the metadata you collected. Your newly executed contracts can be stored in the repository with their metadata – and with strict enforcement of procedures, no more contracts in file cabinets or on personal devices. Stage 3 – Automated contract creation. Create Contract Management Automation. This is where the business starts to reap bigger rewards for efficiencies, faster end-to-end cycle times, and acceleration of revenue. Achieving this stage, requires a Contract Management Tool capable of supporting the end-to-end processes of Request for Contract, Document Import or Document Generation from templates, Redline & Negotiation, integration with an e-Signature tool, and Contract Activation. Once a contract is active, an effective Contract Management tool will be able to process post-activation functions such as Amend, Renew, Expire, and Terminate. The proper way to map out each area of the business that will be participating in the process is to assess the current and future method of Operation where the future method includes functionality within the tool to automate as many of the processes as possible. An excellent time to identify these areas for template tracking are during Stage 1 when you are scanning the contracts. Stage 4 – Effective contract compliance. 2) Compliance with a Service Level Agreements (SLA) that requires a two – hour response time. Items like the ones above are contractually referenced in the contract language, but unless the associated business units, (Billing or Operations in the example) or the applications responsible for monitoring them are aware of the obligations, they go unaccounted for. Creating Obligation Management records. Obligation Management and Compliance can be enforced by requiring them as input elements when the Agreement record is created or the contract is modified to include them. In order to implement these elements of Contract Management, your company must perform an exercise to identify what SLA’s are identified with which contracts and store that information in the Agreement record or some associated record. Workflows or reports can be set up using those records to monitor and alert the business to upcoming SLA’s to insure compliance. Stage Five – Integrate transaction systems to contractual terms and conditions. So now, you have a contract repository, contract analytics, contract automation, and contract compliance. What else could you possibly need? As mentioned above, there will be several organizations in your business involved in the end-to-end contract process. It is rare that an organization will have a single application to support all of the business. Back office activities may include Supply Chain Management, Product and Pricing, Accounting and Finance, Legal and let’s not forget about Operations. All of these may have input or output needs during the Contract Lifecycle. Therefore, to achieve full Contract Optimization, your Contract Management process should consider integrations to your transactional systems and those may happen at different times during the process. If you are considering Stage 5 as a goal for your Optimization plan, as you work through defining the end-to-end process, ask yourself “Is this data essential to another area of the business and is the contract element the source of the data”? If the answer is yes, as in an SLA for example, I suggest that an integration to the Operations application may be required. Ken McCumber is an Architect with Statêra and a recognized SME for Contract Lifecycle Management.